Don’t have time to head to the gym as a means of relaxation after a long day at the office? Don’t worry, we’ve got you covered. Coloring books, puzzles, and crafting have all been proven as a great and fun way to get your mind off of work. It’s time to dive deep into creative inspiration. Whether your “me time” is 5 minutes or an hour, these creative books are the perfect way to take your mind off of your problems for a little while. This beautifully styled journal will encourage you to embrace a mindset of gratitude through inspiring quotes, art, and writing prompts. Our thoughts are our most powerful possessions. They drive our actions and words and set the course for our days. Recent studies have shown that there are numerous health benefits to expressing gratitude: people who regularly take time to convey thankfulness for their lives experience better sleep, reduced stress, an enhanced sense of well-being and improved heart health. 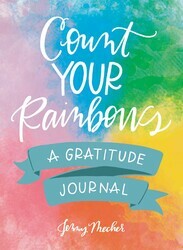 This gratitude journal will guide your thoughts to see and embrace the positive aspects of your life and help you express appreciation. 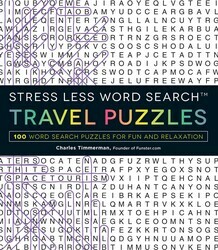 Your ticket to relaxing puzzle fun!Stress Less Word Search Travel Puzzles will inspire you to find relaxation in 100 all-new word puzzles. Finding, circling, or highlighting words in any of the 100 brand-new word search puzzles helps to quiet anxious minds in a creative, relaxing, and therapeutic way. Relaxation is as easy as 1, 2, 3! 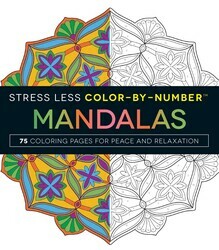 Stress Less Color-By-Number Mandalas takes the guesswork out of creating stunning works of art. Each of these seventy-five calming designs is divided into sections with numbers that correspond to a specific color. Simply select the one you wish to complete, fill in each section with the corresponding color, and soon a soothing mandala will appear right before your eyes. It's a fun, easy way to de-stress and create amazing, frame-ready art. It doesn't get more beautiful--or more relaxing--than Stress Less Color-By-Number Mandalas! These intricate and beautifully detailed line drawings of underwater scenes are ready for you to bring to life. 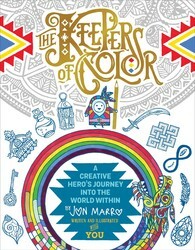 Relieve stress, practice your mindfulness, and discover your creative side as you unplug and slow down by filling these exquisite pages with color. No matter our age, useful mindfulness techniques can help re-center us amidst a world of noisy stimuli constantly vying for our attention. 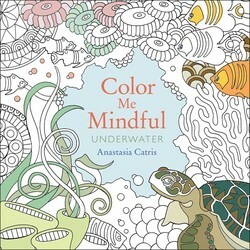 Coloring can act like a tranquil meditation—relax and unwind with this calming coloring book for adults featuring beautifully detailed line drawings and designs of soothing ocean motifs. Named one of the Best Spiritual Books of 2017 by Spirituality & Practice! We live in a fast-paced world where we are pestered from all sides with siren calls to constantly strive for something more, something better, something new, rather than find ways to stay grateful for the abundance and blessings already present in our own lives. In Crafting Gratitude, Rev. Maggie Oman Shannon believes that crafting for us and those we love can be used as a meditative practice to appreciate the incredible, overflowing richness of life. 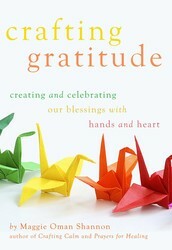 Each meditative craft, from novice to expert, is infused with stories like how Gratitude Bundles can represent prosperity and physical health, Spirit Houses from Southeast Asia can be a symbol of a happy home, a Values Bracelet can help you reinforce your best professional traits, or Flower Mandalas can be an affirmation of nature. Color yourself to happiness with these stunning postcards. Color in these beautiful pieces of artwork and feel the stresses of your day float away. 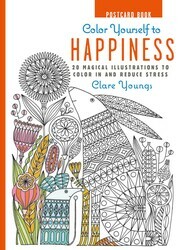 Complete with 20 stunning artworks for you to color in and decorate, this handy, travel-sized, postcard book will help you to relieve your anxieties and give you a creative boost wherever you go. The postcard format also gives you the option of tearing out your gorgeous creations and displaying them throughout your home—you can even send them to friends and family alike!